JOE WILKINS, a professor emeritus at the University of Illinois at Springfield, grew up in what is now the Shawnee National Forest of southern Illinois. He has a life-time of wilderness experience and has hiked, climbed and backpacked in national parks and other wilderness areas throughout North America, Europe and Asia. 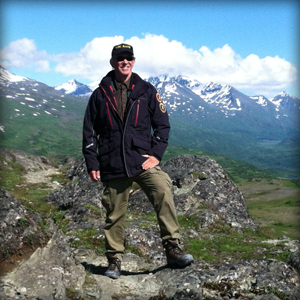 Beginning in 1966 with his training in arctic-wilderness-survival as a young military officer, Wilkins focused his arctic wilderness explorations in and around the mountains of the Brooks Range in northern Alaska - prior even to the creation of Gates of the Arctic National Park in 1980. In this place, the forces of nature are unrestrained and the arctic ecosystem is unaltered. It is a spectacular area. It is rugged, free, wild and remote. Wilkins’ book reports on his explorations of the area in and around North America’s premier wilderness between 2005 and 2017.